John Frederick Evans is a lecturer at the Nairobi Evangelical Graduate School of Theology in Nairobi, Kenya. A native of North Carolina, Dr. Evans grew up the son and grandson of Presbyterian pastors. He completed his Bachelor of Arts at Calvin College, a Masters degrees in Divinity and Theology at Covenant Theological Seminary, and a Doctorate of Theology at the Universiteit can Stellenbosch. He himself served as an ordained Pastor in the Presbyterian Church in America (PCA) before moving onto the mission field in Zambia in the late 1990s. He served in Zambia until 2007, then for one year in Namibia before moving to Kenya in 2009. To read the scan picture, just click on the image, and it should enlarge enough to read it. If not large enough to read, just zoom in on it (or download it and zoom in if need be). You will notice that Evans employs some symbols to the left of many entries. These symbols help the reader to prioritize to decide which works he might need to buy first, especially if, like most pastors and students, he may be on a very limited budget. The darkened star symbol highlights a work as essential for one's library, one that should be on the top of the list to buy. The outline star symbol "designates a valuable commentary or reference work that would be worth buying but would ... be a second priority." 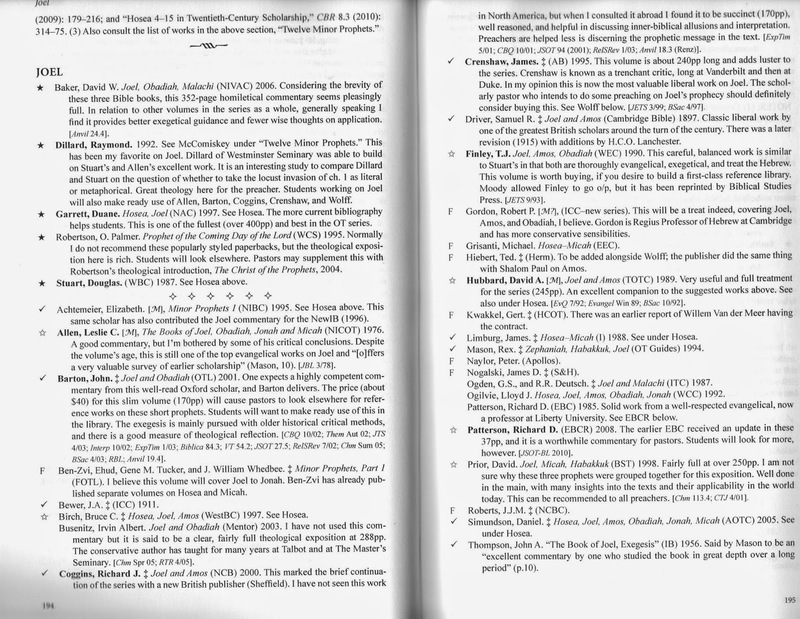 The check-mark symbol "designates an important scholarly work that could profitably be consulted for seminary papers, but is either difficult/expensive to obtain or of debatable value for a pastor's library." The 'F' symbol "indicates a forthcoming volume." Christian unity is a beautiful thing in the eyes of God. It is more than the absence of discord as it includes warm fellowship that is saturated with love and goodwill. “Behold,” David says, “how good and pleasant it is when brothers dwell in unity” (Ps. 133:2). There is nothing like collectively worshiping God with a unified in heart and mind – it is the closest thing to heaven on earth. This unity is established by the fellowship that all God’s children have in Christ Jesus. The church is one body and is united by one Spirit. This unity is deeper than a shared interest, for it is rooted in the spiritual life that all of God’s people share in Christ Jesus. But, sadly, not all churches experience such unity. Fractions, discord, and clicks can abound in churches. This is because of two things. One, as wheat and tares often grow together, there are often unbelievers mixed within the membership of the church. Without spiritual regeneration, there is no unity in the Spirit. Two, though Christians have a new nature and are untied to Christ and to each other, they still struggle with sin. Christians can be prideful, harsh, and hurtful. Wherever unforgiveness and pride reside, unity will have a difficult time thriving. Regardless, this means that sin is the cause of discord within the church. But how do we battle discord? How do we battle sin? What are ways to foster unity in the church? Though not an exhaustive list, here are at least 10 things we can do to maintain the unity of the Spirit within our churches. Paul exhorts us “to walk in a manner worthy of the calling to which you have been called, with all humility and gentleness, with patience, bearing with one another in love, eager to maintain the unity of the Spirit in the bond of peace” (Eph. 4:1-3). Listed here are many of the traits needed for unity – humility, gentleness, patience, and love. 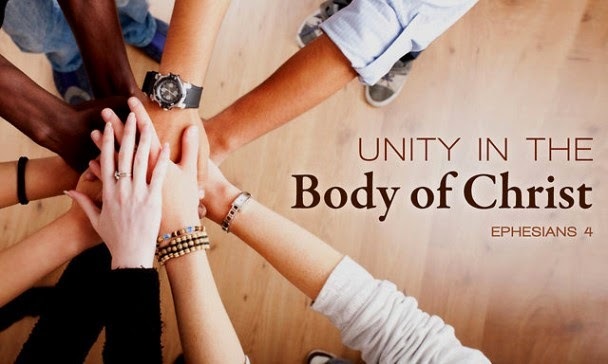 The command is for us to utilize these traits in order to “maintain the unity of the Spirit.” This exhortation implies that unity cannot be taken for granted. Selfishness still exists within us all and sin will continue to occur within the church. This is why patience, forgiveness, and love are needed attributes for the saints. If there were no selfishness in the church, then there would be no need for forgiveness. Yet, long-suffering and forgiveness are required because the danger of discord and factions are ever present. We are all called to exhibit and display the fruit of the Spirit because we have been charged by God to do all we can to maintain the unity that has been established by the Spirit. If we disregard this charge, we are living in sin. Strife and discord are easy to sow, but woe to those who plant such wicked seeds in God’s vineyard. God hates sin, and it is a sin – a great sin – to sow “discord among the brethren” (Pr. 6:19). That which divides God’s people and tears the unity of the church is a great sin indeed. If we are commanded to maintain unity, then we must realize that we sin against God when we initiate discord among the saints. Because they do not stack well, it is difficult to carry a bundle of crooked sticks. Yet, crooked sticks are easy to carry when bounded by a cord. The Puritan Thomas Watson reminds us that a group of Christians is similar to a pile of crooked sticks that are bound together by love. Our different personalities do not always mesh. Our flaws often rub people the wrong way. But, “love covers a multitude of sins” (1 Pet. 4:8). Love is “the perfect bond of unity” (Col. 3:14). If we are going to be able to look past the personality flaws of others and maintain the unity of the Spirit, then love must prevail. A critical spirit that easily finds fault and complains about the slightest disagreement is a symptom of pride and selfishness. Love thinks the best – it assumes people are innocent until proven guilty. It thinks no evil and rejoices not in wrongdoing. If we are to love others as we love ourselves, then we should seek to give people the benefit of the doubt and think the very best of them. We must guard our hearts. Before discord erupts openly, usually it takes place inwardly. Once we become critical and unhappy with a few things – without properly dealing with our concerns – then we will begin looking for problems. But once we start looking for problems, the floodgates will open and we see offenses everywhere. We may not leave the church immediately, but our affections have already started to pull away from the congregation. Though we still attend bodily, our hearts have already exited. Where love and goodwill once ruled, a critical spirit – the saw of disunity – now rules. Slowly, we will start missing church functions increasingly until we remove ourselves altogether – causing a breach in the unity of the church. We must remember that it is a sin to harbor animosity for a fellow church member without seeking reconciliation (Pr. 10:18). To be secretly offended without seeking to forgive will separate friendships and fracture the unity of the church. Thus, we must be careful to guard our hearts from all forms of resentment, envy, and pride. We must maintain a love for our brothers and never allow bitterness or contention to separate our affections from the people of God. A critical spirit is contagious. It can spread quickly throughout the congregation. Subtle complaints, even when they are legitimate, often breed discontentment, and discontentment often spreads until it causes division within the church. “I wish the church was more friendly to visitors.” Or, “The church does not focus upon missions enough.” Though these may be proper concerns, these complaints can be mishandled and cause discord. It often starts with a simple concern, but the concern soon turns into gossip. Rather than seeking to handle the problem in a biblical fashion, the problem is often communicated to others. Moreover, it is natural for us when we hear criticism to respond with our own criticism. “Well you are worried about missions; I am concerned about how business meetings are handled.” We become critical and our critical spirits influence others to be critical. Not only have we sinned in our own hearts, we have led others into this sin. We have ceased to promote unity but rather have shown seeds of discord among the saints. It is not wrong to have concerns, but once we take pleasure in pointing out flaws and sharing these flaws with others, then we have failed to operate in love. We have spoken against our brothers and this is a transgression against God’s law (James 4:11). Minor concerns should be overlooked – for love covers such things. Yet, when concerns need to be addressed, they should be directed to only the people directly involved, in most cases to the leaders of the church. This should be done in the spirit of humility and with the desire to resolve the issue while strengthening the unity of the Spirit (Gal. 6:1). A way to maintain unity when we hear others complain about the church (complaints that slander and devalue the name of individuals or the reputation of the church) is to redirect that criticism with words of grace. Paul commands us that we are to “let no corrupting talk come out of [our] mouths, but only such as is good for building up, as fits the occasion, that it may give grace to those who hear” (Eph. 4:29). This command is to be implemented in every situation. If our communication is not seeking to assist others in their walk with the Lord, then we must refrain from speaking until the Spirit and His Word retunes our hearts. So, when we hear a person complaining, there is no need to tell that person that he is in danger of gossiping. We simply and gently need to redirect the conversation. One of the best ways to redirect gossip is by saying, “You are concerned about John Doe? We love John Doe. Have you addressed your concern with him? If not, I will be happy to go with you.” This usually does the trick. Regardless, the goal is to always respond in a way that seeks to reconcile and build up our precious brothers – not tear them down. If we, however, enter into their gossip, we share in their guilt. It is our duty not only to seek to defend the honor of our brothers, but to assist others in refraining from slander. If gossip continues, it will surely bring much disunity within the body of Christ. To help guard our hearts from causing division by a critical spirit and by emotionally pulling away from the church we should identify ourselves with the problems of the church. If there are problems in the church (as there always are), then these problems are our problems. We have a responsibility to correct them. We all have sin in our lives, but this does not cause us to separate ourselves from ourselves. Not only is this impossible, but we love ourselves too much to give up on ourselves. We overlook our problems, or we deal with them. Yet, when it comes to church problems, it is too easy to separate ourselves from the rest of the church by saying, “The church does this, or the church does that.” We tend to separate ourselves from the problems in the church as if we are not united to the church body. We begin calling our church by its name and complain by saying, “Grace Baptist Church is not very friendly to visitors.” No pastor enjoys hearing members of the church say, “The church should do this, or the church is doing this wrong.” Rather, we should say, “We could do better at welcoming visitors.” Or, “Our church may need to think about how we can improve hospitality, and I am willing to help.” Identifying ourselves with the problems of the church is a helpful way of addressing a problem without potentially introducing a division within the congregation. Once we identify ourselves with the problems of the church, the next thing we need to do is seek to strengthen the weaknesses of the church by filling in the gaps. The church may not be as welcoming as it needs to be, but our awareness of the problem should cause us to pick up the slack. Rather than finding fault with the church and building up a résumé of criticisms in our minds, we should seek to be an example of friendliness to all visitors. It is amazing that the person who complains the most of feeling unconnected is often the person who does the least in reaching out to others. If we see a need, then we should seek to fill that need. Our good example will likely influence others as well. We must remember that not all members are gifted alike. We should not expect that everyone would be as concerned about visitors as we are. Yet, no doubt, were we lack, others must help carry our load. If we are not seeking to bear the burdens of others and seeking to strengthen the weaknesses of the church, then we have no business complaining about those weaknesses. All these things, however, depend upon humility. While prideful people are never satisfied with others, the meek are amazed that they have friends at all. A true church consists of precious people – the children of God. They may have flaws, but they have Christ living within them. They love the Lord, and they are gifted in a unique way. The world is unworthy of such people. We are unworthy to be included in such a glorious assembly. We need to remain humble and remember this. It is by the grace of God and the grace of God alone that we are counted among God’s precious people. We should always remember that. When Paul exhorted us to be of “the same mind, having the same love, being in full accord and of one mind” (Phil. 2:2), he did so by displaying the humility of our Lord Jesus Christ. If the Lord is humble enough to accept us, to serve us, and to even die for us, how much more should we be willing to place the unity of the church above our own personal interests and concerns? Who are we to be too good for those whom Christ died? With all this said, a major objection remains. “Jeff, you don’t know my special situation.” “It is impossible to maintain unity under the circumstances that exist in my church; there are grievous sins and heretical teaching.” “What am I suppose to do? Am I to act as if nothing is wrong?” Even so, we are still to do all that we can to maintain the unity of the Spirit – we are never exempt from obeying this command. The way to maintain the unity of the Spirit in such circumstances, however, is by following through with church discipline. We are not to gossip or harbor a critical spirit, but privately seek to maintain fellowship with the body by following the instructions of Christ in Matthew 18. We must desire forgiveness and reconciliation. When there are grievous sins within the church, then we must humbly and lovingly address the issue(s) with only the people directly connected or involved in the situation. We must restrain from slander and gossip, and we must seek to restore those who have brought discord within the body to full unity. We must remember that the objective of church discipline is keeping peace and unity within the church body. We must be long-suffering and not strive with others. Everything must be done in humility and be motivated by love. Yes, I know that people leave churches all the time and for the slightest reasons. No longer do Christians seek to maintain the unity the Spirit and work out their differences. Once their feelings are hurt, it is not long before they find a reason to abandon ship. But if church membership includes being united to a spiritual family – where our joys, trials, and sorrows are mutually shared, then to depart from this family is to potentially place a tear within the body. If our union with our Christian brothers is connected with our union with Christ, then we must do all that we can to maintain that unity. First, it is unbiblical to leave a church without doing our best to be reconciled to all of her members. Being offended is not a warrant to leave a church – not when the Bible commands us to forgive and, if necessary, follow through with steps of church discipline. Leaving a church upset – without seeking reconciliation – is a sin. Second, it is unbiblical to leave a church without notice or explanation. Simply dropping out quietly may seem like the easy way out, but this brings a division within the unity of the church. How would you like a close friend to stop talking to you without any explanation? Would this not be hurtful? If it is unkind to drop a friendship without explanation, how much more hurtful is it to walk away form a church – God’s people – without seeking do what you can to maintain Christian fellowship? If we leave a church without striving to do our best to keep the unity of the Spirit, then we have not followed the command given to us by God. When we can no longer remain a member of church in good conscience, and if we have already sought to humbly resolve our concerns with the leadership of the church to no avail, then it may be permissible to leave, but we should seek to leave in good standing and with the blessing of the church. The biblical reasons for leaving a church is a topic for another article, but suffice to say here, leaving a church should done humbly, slowly, and with much sadness. In the end, we must strive to foster and maintain the precious unity that Christ established by His blood. This sounds quite Biblical and orthodox to many sincere Christians when they first hear it. After all, don't we all want to preserve the true Gospel that salvation is by grace through faith alone? Of course we do! But the problem with Hodges' view here is that it ignores the possibility that a Biblical understanding of faith includes and even presupposes repentance and that, therefore, when the Apostles taught the doctrine of salvation by faith alone, they had in mind a repentant faith. In my view, this is precisely what the Apostles meant when they spoke of trusting in Christ for salvation. 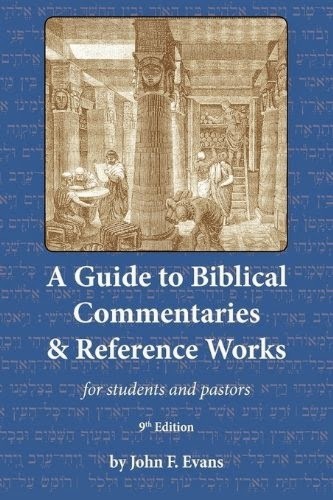 This is why I think Wayne Grudem – whose work I will be citing a number of times in this post – has done a better job of Biblically and succinctly defining conversion as “our willing response to the gospel call, in which we sincerely repent of sins and place our trust in Christ for salvation” (Systematic Theology, p. 1238). Today I hope to explain why I think this definition is correct. This means we are going to spend our time on a brief survey of some of the Biblical teaching on faith and repentance. In the process we will seek to understand 1) the proper meaning of both faith and repentance, 2) the proper relationship between faith and repentance, and 3) that both faith and repentance are gifts from God. I. We need to understand the proper meaning of both faith and repentance. Since we are dealing here with conversion, then of course we are interested in understanding what the Bible teaches about initial saving faith and repentance rather than with the ongoing need of faith and repentance in the life of a believer. With this distinction in mind, we will focus first on faith and then on repentance. To believe in Christ is to receive Him. This refers to a personal acceptance of Christ as He has revealed Himself to us, not merely to an intellectual knowledge of, or assent to, facts about Him. There is a huge difference between believing the right things about Jesus and actually trusting in Him for salvation! For example, when I explain saving faith to children, I like to show them a chair and ask them if they think I should believe that it will hold me if I sit in it. They typically reply that of course it will. But then I explain to them that believing that the chair will hold me is not the same thing as trusting the chair to hold me. I trust the chair to hold me only when I sit in it. This is why Wayne Grudem is again correct to assert in his Systematic Theology that “Saving faith is trust in Christ as a living person for forgiveness of sins and for eternal life with God” (p. 710). Second, the Bible teaches that repentance is a turning from sin to follow Christ. Here it is important to consider examples from both the Old and New Testaments, since the New Testament Greek terminology is heavily influenced by the Old Testament Hebrew terminology, and since the Scriptural concept of repentance has been under such attack these days. NKJ Job 42:5-6 I had heard of you by the hearing of the ear, but now my eye sees you; 6 therefore I despise myself, and repent [נחם, nāḥam] in dust and ashes. The Hebrew nāḥam means “1. to regret: a) to become remorseful... b) to regret something [lists Job 42:6]... 2. to be sorry, come to regret something …” (HALOT # 6096, BibleWorks). NKJ Isaiah 55:7 Let the wicked forsake his way, and the unrighteous man his thoughts; let him return [שׁוּב, šûḇ, often transliterated shûv] to the LORD, and He will have mercy on him; and to our God, for He will abundantly pardon. The Hebrew šûḇ here means “to turn around, repent” (HALOT # 9407, BibleWorks). NKJ Jeremiah 8:6 I listened and heard, but they do not speak aright. No man repented [נחם, nāḥam] of his wickedness, saying, “What have I done?” Everyone turned [שׁוּב, šûḇ] to his own course, as the horse rushes into the battle. NKJ Joel 2:12-13 “Yet even now,” declares the LORD, “return [שׁוּב, šûḇ] to me with all your heart, with fasting, with weeping, and with mourning; 13 and rend your hearts and not your garments.” Return [שׁוּב, šûḇ] to the LORD, your God, for he is gracious and merciful, slow to anger, and abounding in steadfast love; and he relents over disaster. So, as pointed out above, these passages demonstrate that repentance involves a sorrow for and a turning from sin. NKJ Luke 3:8 Therefore bear fruits worthy of repentance [μετάνοια, metánoia], and do not begin to say to yourselves, “We have Abraham as our father.” For I say to you that God is able to raise up children to Abraham from these stones. NKJ 2 Corinthians 7:8-10 For even if I made you sorry with my letter, I do not regret it; though I did regret it. For I perceive that the same epistle made you sorry, though only for a while. 9 Now I rejoice, not that you were made sorry, but that your sorrow led to repentance [μετάνοια, metánoia]. For you were made sorry in a godly manner, that you might suffer loss from us in nothing. 10 For godly sorrow produces repentance [μετάνοια, metánoia] leading to salvation, not to be regretted; but the sorrow of the world produces death. NKJ Acts 3:19 Repent [μετανοέω, metanoéō] therefore and be converted [ἐπιστρέφω, epistréphō], that your sins may be blotted out, so that times of refreshing may come from the presence of the Lord. The Greek verb metanoéō means “repent, have a change of heart, turn from one's sins, change one's ways” (UBS Greek Lexicon # 3985, BibleWorks). The Greek verb epistréphō used here in conjunction with metanoéō, may be defined thusly: “intrans. (including midd. and aor. pass.) turn back, return; turn to; turn around; trans. turn, turn back” (UBS Greek Lexicon #2511, BibleWorks). Note the similarity in meaning of these terms to the Hebrew šûḇ in the Old Testament. Again we can see that Wayne Grudem defines the concept well when we writes that “Repentance is a heartfelt sorrow for sin, a renouncing of it, and a sincere commitment to forsake it and walk in obedience to Christ” (Systematic Theology, p. 713). II. We need to understand the proper relationship between faith and repentance. Again, since we are speaking of faith and repentance with respect to the doctrine of conversion, we are of course speaking of initial faith and repentance in Christ rather than the ongoing need to believe and repent in the Christian life. Thus we will focus our attention on those passages which speak of faith and repentance in the context of conversion rather than of the Christian life subsequent to conversion. In the process we will see that, although it is true that faith and repentance are not always mentioned together in Scripture, they are nevertheless two inseparable aspects of conversion and that the mention of one always presupposes and implies the other. Let's take a look at the basic ways in which Scripture refers to faith and repentance when addressing conversion, and I think you will see what I mean. NKJ John 3:16 For God so loved the world that He gave His only begotten Son, that whoever believes in Him should not perish but have everlasting life. NKJ Romans 10:9 ... that if you confess with your mouth the Lord Jesus and believe in your heart that God has raised Him from the dead, you will be saved. NKJ Acts 3:19 Repent therefore and be converted, that your sins may be blotted out, so that times of refreshing may come from the presence of the Lord …. NKJ Acts 17:30 Truly, these times of ignorance God overlooked, but now commands all men everywhere to repent …. How is it that the Apostles could thus preach repentance when proclaiming the Gospel if repentance isn't somehow essential? And why do these same Apostles sometimes demand faith and sometimes demand repentance if they do not see them as connected and even interchangeable? That they are so connected will become clear as we consider the next point. NKJ Hebrews 6:1-2 Therefore, leaving the discussion of the elementary principles of Christ, let us go on to perfection, not laying again the foundation of repentance from dead works and of faith toward God, 2 of the doctrine of baptisms, of laying on of hands, of resurrection of the dead, and of eternal judgment. Thus when we accurately proclaim that people are sinners deserving of God's wrath and punishment and hell, and when we accurately proclaim that they must trust in Christ to save them from their sins, then people will not trust in Him without repentance, and they will not repent without trusting in Him. This is no doubt why the Apostles didn't always see the need to stress both in the same way and in every instance. In a situation in which people had already recognized their sins before God and were clearly repentant, all that needed to be stressed was faith in Christ. And where people clearly believed the message about who Christ is as Savior and Lord, all that needed to be stressed was repentance from sin when coming to Him for salvation. But before we finish our brief Biblical survey today, we must also understand that neither faith nor repentance are things we can do in and of ourselves. This leads us to our third and final major heading. III. We need to understand that both faith and repentance are gifts from God. Here we address another point of contention among Evangelical Christians today, for there are many who seem determined to confine both faith and repentance to the work of man even as they inconsistently decry works salvation. The Bible, on the other hand, sees both faith and repentance as coming from God. Recall that earlier in the context Jesus used the terminology of coming to Him as equivalent to believing in Him (vs. 35). So, when Jesus says here that no one can come to Him unless it has been granted to him by the Father, He means that no one can believe in Him unless it has been granted to him by the Father. NKJ Acts 13:48 Now when the Gentiles heard this, they were glad and glorified the word of the Lord. And as many as had been appointed to eternal life believed. As Anthony Hoekema has correctly argued, “the faith of those Gentiles who believed was a fruit of divine election and therefore clearly a gift of God” (Saved By Grace, p. 143). NKJ 1 Corinthians 12:3 Therefore I make known to you that no one speaking by the Spirit of God calls Jesus accursed, and no one can say that Jesus is Lord except by the Holy Spirit. Paul clearly has in mind not merely a mouthing of the words “Jesus is Lord,” but rather a genuine statement of faith in Jesus as Lord, when he asserts that “no one can say that Jesus is Lord except by the Holy Spirit.” This faith is seen, then, to be a product of the Spirit's working and thus a gift of God. ESV 1 John 5:1 Everyone who believes that Jesus is the Christ has been born of God, and everyone who loves the Father loves whomever has been born of him. Sadly, many do not see that they turn faith itself into a work of man when they deny that it is a gift from God and thus the work of God in man. NKJ Acts 5:31 Him [the Lord Jesus] God has exalted to His right hand to be Prince and Savior, to give repentance to Israel and forgiveness of sins. NKJ 2 Timothy 2:25 ... in humility correcting those who are in opposition, if God perhaps will grant them repentance, so that they may know the truth. These passages make it quite clear that repentance is a gift from God, don't they? Sadly, however, again there are many who do not see that they turn repentance into a mere work of man when they deny that it is a gift from God and thus the work of God in man. And it is sad as well that so many today think that they defend the true Gospel when they deny that this essential work of God in man has no place in a man's conversion. Conclusion: I will conclude by reminding you all that there is a very pernicious error floating around so-called “Evangelical” circles these days, namely the idea either that repentance has nothing to do with turning from sin or that, if repentance does involve turning from sin, it has nothing to do with conversion. Sadly, such teaching has led many to assume that they may be saved without turning from their sins at all! I pray that we will all see this heresy for what it is and not put asunder what God has joined together as two inseparable aspects of conversion, what we might call repentant faith. This issue is not a trivial one. In fact, how could any issue be more important? The gospel that is presented to unbelievers has eternal ramifications. 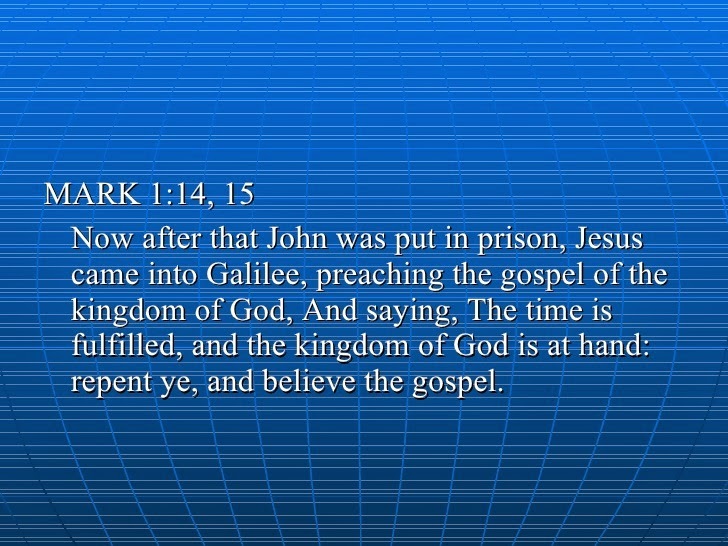 If it is the true gospel, it can direct men and women into the everlasting kingdom. If it is a corrupted message, it can give unsaved people false hope while consigning them to eternal damnation. This is not merely a matter for theologians to discuss and debate and speculate about. This is an issue that every single pastor and lay person must understand in order that the gospel may be rightly proclaimed to all the nations. Advocates of the no-lordship position frequently suggest that preaching repentance adds something to the biblical doctrine of salvation by grace through faith alone. But faith presupposes repentance. How can those who are mortal enemies of God (Rom. 5:10) sincerely believe in His Son without repenting? How can anyone truly comprehend the truth of salvation from sin and its consequences, unless that person also genuinely understands and hates what sin is? The whole sense of faith is that we trust Christ to liberate us from the power and penalty of sin. Therefore sinners cannot come to sincere faith apart from a complete change of heart, a turnaround of the mind and affections and will. That is repentance. It is not a supplement to the gospel invitation; it is precisely what the gospel demands. Our Lord Himself described His primary mission as that of calling sinners to repentance (Matt. 9:13). We often speak of the salvation experience as "conversion." That is biblical terminology (Matt. 18:3; John 12:40; Acts 15:3). Conversion and repentance are closely related terms. Conversion occurs when a sinner turns to God in repentant faith. It is a complete turnaround, an absolute change of moral and volitional direction. Such a radical reversal is the response the gospel calls for, whether the plea to sinners is phrased as "believe," "repent," or "be converted." Each entails the others. If someone is walking away from you and you say, "Come here," it is not necessary to say " turn around and come." The U-turn is implied in the direction "come." In like manner, when our Lord says, "Come to Me" (Matt. 11:28), the about-face of repentance is understood. Nowhere does Scripture issue an evangelistic appeal that does not at least imply the necessity of repentance. Our Lord offers nothing to impenitent sinners ( Matt. 9:13 ; Mark 2:17 ; Luke 5:32). Again, repentance is not a human work. Jesus said, "No one can come to Me, unless the Father who sent Me draws him" (John 6:44). It is God who grants repentance (Acts 11:18; 2 Tim. 2:25). Repentance is not pre-salvation self-improvement. It is not a question of atoning for sin or making restitution before turning to Christ in faith. It is an inward turning from sin to Christ. Though it is not itself a "work" the sinner performs, genuine repentance will certainly produce good works as its inevitable fruit (Matt. 3:8). It is my hope that the readers of this blog will strive to maintain a Biblical understanding of conversion and will not succumb to the false teaching on the subject that is still so prevalent among many who would continue to call themselves Evangelical Christians.